Rampant TechPress offers book publishing services to for "niche" technical books, such as those with a very small market or those that promote a vendor product or tool. Rampant TechPress is a unique publishing paradigm, tight in-focus book targeted at IT professionals who need fast working examples of complex issues. For vendors, creating a product-centric book is great marketing. For less than the cost of an ad in a magazine, your product gains prestige and you get a professional-quality book to give-away to your prospective customers at a cost as low as $1.50 per copy (the per/book cost is dependent on the number of copies desired). For example, $25,000 will cover all production and distribution costs for a small book with 15,000 copies, less than $2 per book. Rampant TechPress books are have a registered ISBN number and Library of Congress number. You book will appear in the sales catalog for the Independent Publishers Group and be offered for sale at Borders, Barnes & Noble, and hundreds of independent bookstores worldwide. You book will also be offered via Google books and Amazon. Real books - Rampant TechPress books have unique ISBN numbers and Library of Congress numbers and are printed as high-quality 9 x 7 perfect-bound books. Worldwide distribution - Rampant TechPress books are distributed Worldwide by IPG and Shroff and are available in all major bookstores such as Barnes and Noble and Borders. Rampant print books are sold online with Amazon.com, barnesandnoble.com, bookpool.com greymatter.com and many others. However, the bookstore buyers are solely responsible for evaluating the book and choosing the amount of the orders for each bookstore. Sell your book online - Rampant TechPress books are featured on all the major online book portals. Electronic books (eBooks) are published through numerous secure, reputable online retailers, wholesalers, and library services, including Amazon, eBooks.com, eBrary.com, netLibrary.com, Powells.com, Content Reserve, Lightning Source, DedicatedTeacher.com, WHSmith.com, efollett.com, bitworm.com, LearningStation.com, aftermacbooks.com, computerbooks01.com, and many others. In order to qualify as a Rampant book, your text must meet several criteria. Concise – Most Rampant TechPress books are less than 250 pages and get right to-the-point on tough technical issues. Hot technology - We are especially interested in emerging IT technologies. Please see our title list to see the type of books that we will publish. Upon acceptance by Rampant, you would license Rampant as your publisher. Rampant will manage all sales, warehouse and distribution channels. Authoring Support - For technical topics, independent third-party authors can be engaged to write custom works for you, or you can designate your own author. Copyright - You retain full copyrights to your book and license Rampant TechPress as your publisher. Cost - You will commit to purchase at least 1,000 printed copies from Rampant for a fixed fee of $9,000-$20,000, depending on the size of your book and the number of copies desired. For example, $20,000 will cover all production costs to produce a 250 page book with 5,000 copies, only $4 per book. You may use your personal copies in any way you choose. Most use their copies as promotional give-aways or re-sell them via personal sales channels. 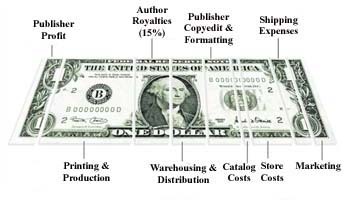 Production - Rampant provides all production costs, including professional copyedit, pagination, indexing and typesetting, graphic art for the cover, ISBN registration, and registration with the Library of Congress. Marketing - The book will appear in the IPG catalog and presented to bookstore buyers worldwide and offered for sale on Amazon.com, barnesandnoble.com and many other online booksellers. Because Rampant does not control the bookstore buyers, we cannot make any promises about the number of printed copies purchased by bookstores. New Editions - If you desire subsequent editions of your book, Rampant will provide all re-mastering of subsequent editions for a low fixed cost. Please e-mail , with a description of your work and a statement about why it qualifies as a Rampant TechPress publication.